U.S. Bank Stadium in Minneapolis, Minnesota is a 66,200-person venue, hosting regular football games for the NFL and NCAA as well as baseball and soccer games, concerts, weddings, and many other events. Approximately 3,500 people make up the staff on a game day or during a major event. These concession workers, cleaning personnel, police, guest experience team, security officers and supervisors, operations managers and more are on site to deliver not only a safe and secure event, but also a memorable experience for all guests in the stadium. While under construction, U.S. Bank Stadium managed their keys by using a complicated pencil-and-paper system that required key users to provide collateral against key removal; this proved to be both time-consuming and inefficient. 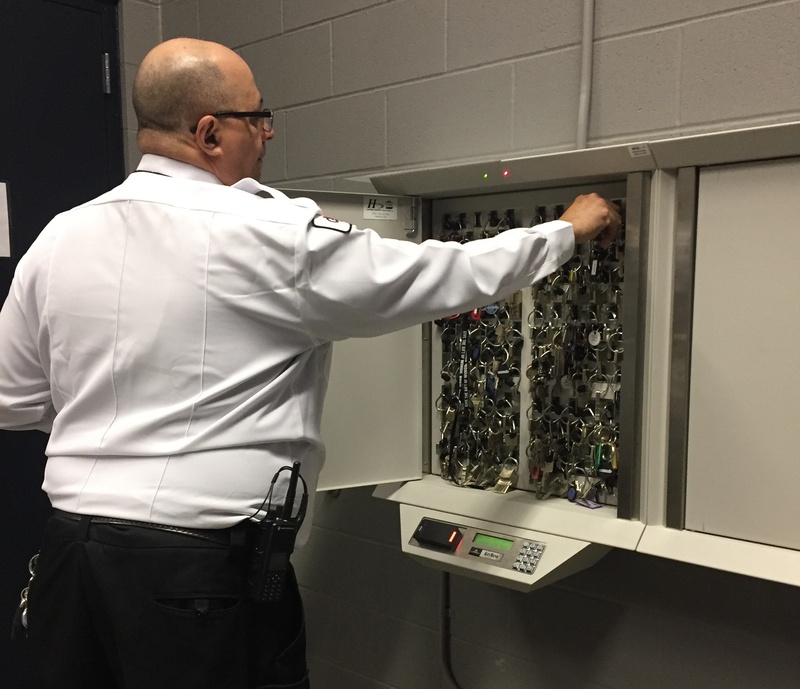 When looking to upgrade their internal access control systems to provide the security and efficiency they required at such a large facility, U.S. Bank Stadium while working with Hoffman Security Solutions, chose Morse Watchmans’ KeyBank system for cost-effective, highly capable key management throughout their facility. In February 2016, Hoffman Security Solutions installed one KeyBank managing 120 key locations throughout U.S. Bank Stadium. In June 2017, they added 2 expansion cabinets to fill out the system, bringing their total managed key locations to 360. Each day, U.S. Bank Stadium has different staff working throughout the stadium to fulfill the varied roles needed for their many events. Contractors working on the facility itself, temporary staff, and other day-to-day workers all require access to different workspaces. By requiring that staff check out a key from the KeyBank system, U.S. Bank Stadium security staff are able to account for all the keys in the system, who removed each key, and what time they were checked out or returned through the KeyBank’s timestamp feature. At the end of each day, a report is delivered to security staff that displays this data in an easy-to-read manner, allowing staff to account for the many keys they use throughout the stadium during the day. 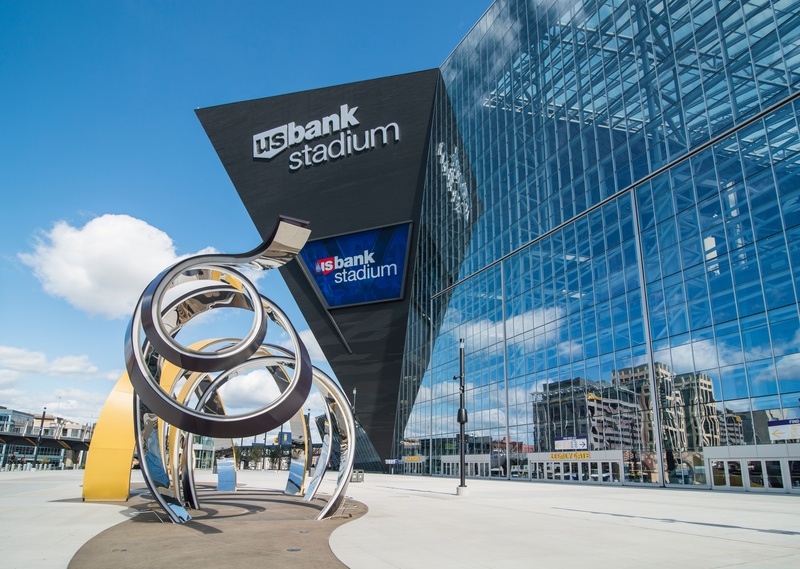 With access control a strong component of U.S. Bank Stadium’s security, consistent reporting of key access is essential to maintaining business operations. U.S. Bank Stadium’s guest experience team, consisting of ushers, lobby hosts, ticket takers, scan ambassadors, and others, arrives early each morning and requires their own separate access. Through the KeyBank system, they are allowed to prepare for a game while simultaneously reporting that access to security staff. Each team member is given access to the keys they require, while ensuring safety throughout the stadium by keeping other keys restricted. 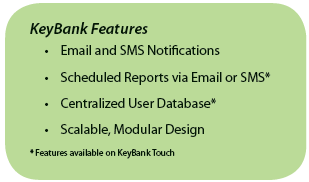 This ease of use and reporting ability are what have made KeyBank an essential element of U.S. Bank Stadium’s access control and security systems.